Mini One Life to Live Reunion: Kassie DePaiva, Robin Strasser & A. Martinez Share A Blissful Reunion! Who remembers those days of Dorian Lord or those days of Blair Cramer or even those days of Ray Montez on 'One Life to Live'. Those are obviously days that daytime viewers will never forget especially considering the fact that it was a series which boasted such an outstanding cast during both its run on television and its online reboot. 3 former cast members of the now-defunct daytime drama recently reconnected. Robin Strasser who hadn't seen her former 'OLTL' co-star, A.Martinez (ex-Ray) in 8 years, had the chance of reuniting courtesy of another former co-star, Kassie DePaiva (ex-Blair). 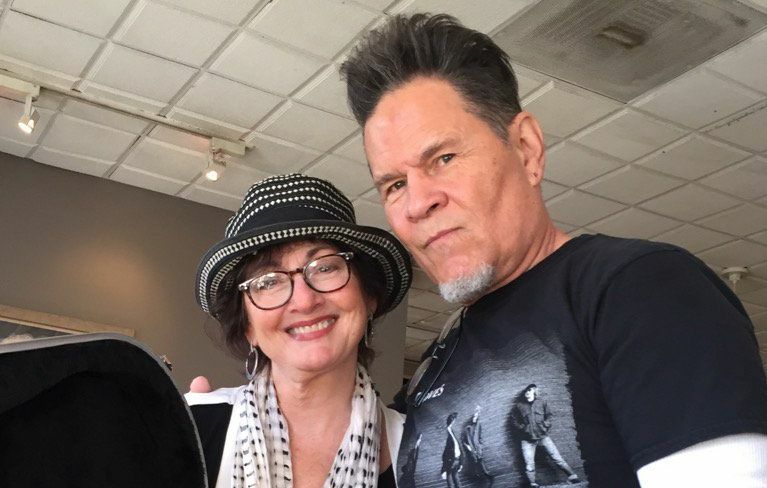 "CUT to JOY of lunch #WoodlandHills w/Kassie & @ABoneMartinez Talk about an A list lunch:) There were no lapses in the conversation LOL," shared Strasser." The moment was a very special one for all three of them and to top it off it became even more special when Strasser, in her generosity, gave an exquisite twelve-string guitar to Martinez. Avid daytime viewers would remember that DePaiva and Martinez had reconnected on 'Days of Our Lives' as the parents of Paige Larson (ex-True O'Brien), playing the role of Eve Donovan and Eduardo Hernandez respectively. Check out their social media posts below about their mini-reunion. Soap Opera News: Mini One Life to Live Reunion: Kassie DePaiva, Robin Strasser & A. Martinez Share A Blissful Reunion!